Decided to build the AC side of the power supply today. Powered on, voltages looked good, no magic smoke, nothing getting hot. Clearing the video had an interesting problem, though – once I removed the clear jumper and the video returned, the underscores went away, but the blinking @ signs didn’t! Anyway, I decided to continue onto the processor section – the video section behaving like that was actually promising, because it was almost all working. Resetting the processor showed that it was definitely working, and the video section was even responding to the processor section – a line of @ signs would get replaced by slashes, for instance. 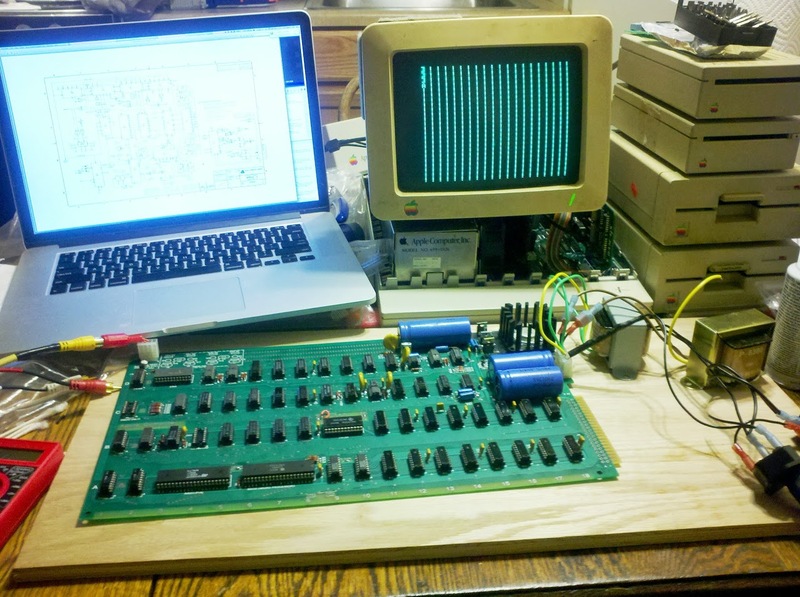 So, I now have a working(ish) Apple-1 clone. 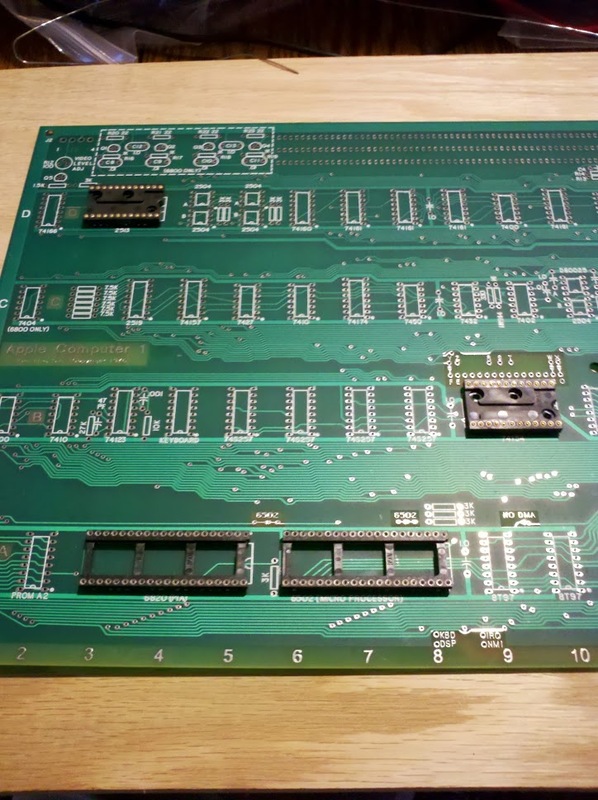 Tomorrow’s project will be to put the finishing touches on the board – solder the slot connector on, solder jumpers for the cassette interface and BASIC RAM, install the ACI, and celebrate (even though that shift register needs replaced). The project won’t be done, though (and the computer won’t really be usable until some of this is done, and it definitely won’t be safe due to the AC section being exposed) – I need to get a keyboard encoder (waiting on a solution for that one), get a slot expander, wait for the CFFA1 to arrive, and work on my case (which will be a stained oak base, with 4″ aluminum standoffs supporting a plexiglas top above the board and power supply, and a plexi case around the AC section of the power supply). 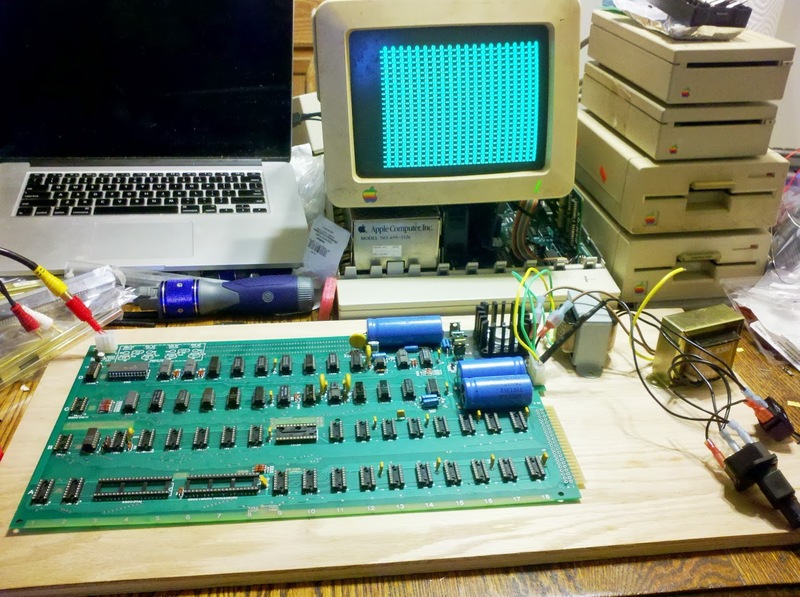 Also, I’ll do a similar, much smaller case for the ][ Plus keyboard. 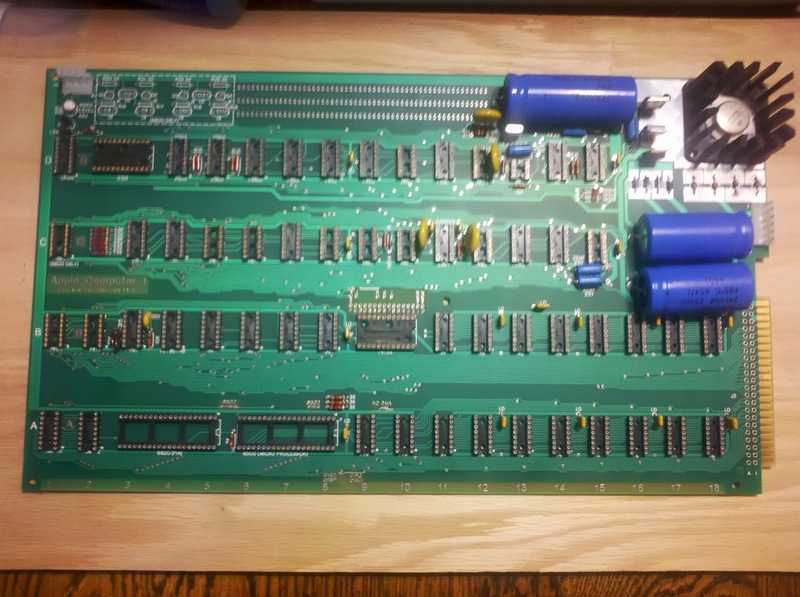 I’m still waiting on resolution for the capacitor issue, but I decided that I might as well build the cassette interface. 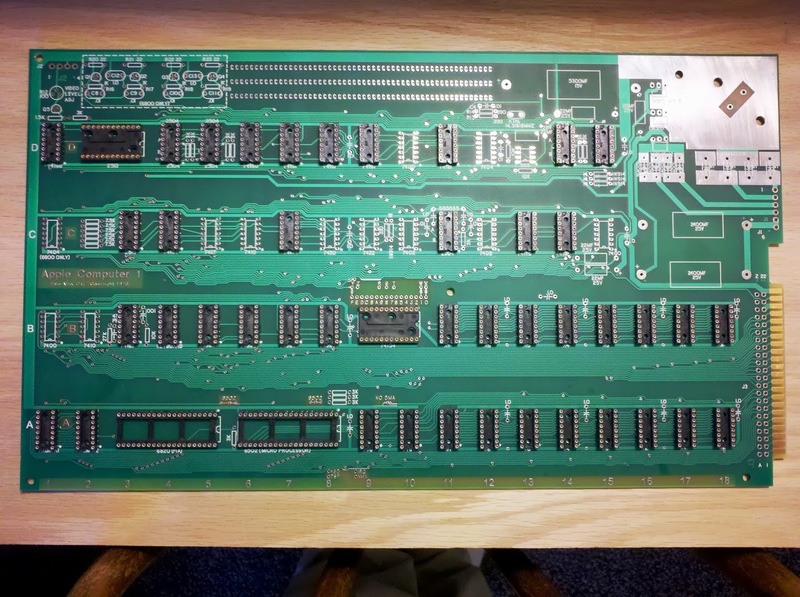 Just received my Mimeo-1 PCB from Mike Willegal! 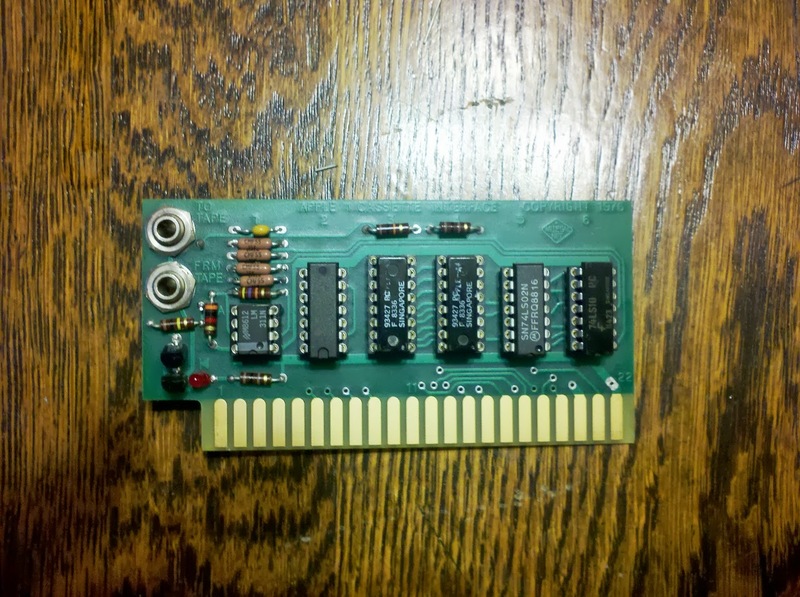 Update: Decided to start soldering. 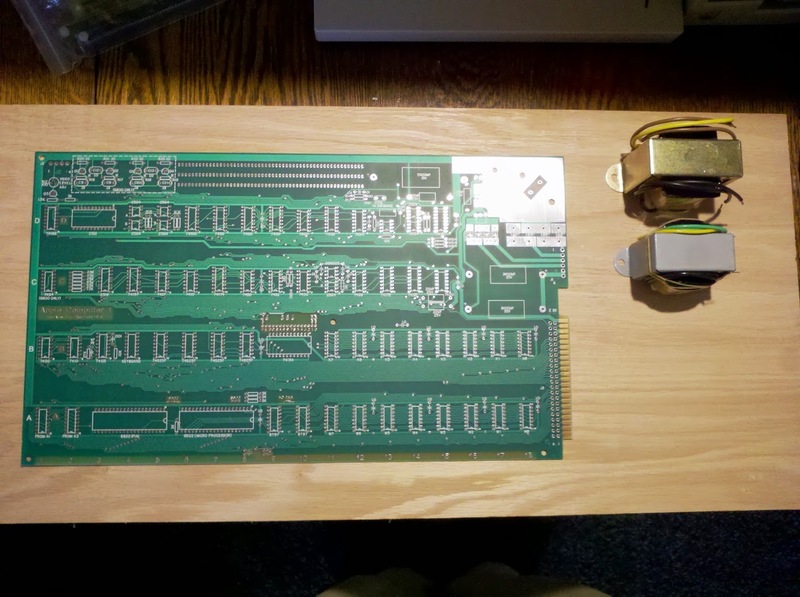 Finished chapter 2, steps through 5, of the Mimeo assembly and bring up guide (PDF). Now that is all for today. 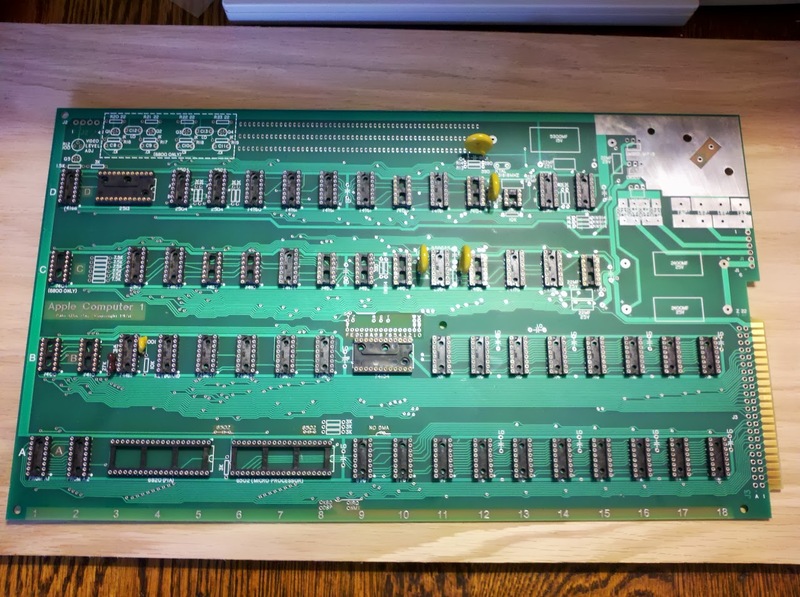 Tomorrow’s plan: install twelve 16-pin sockets in row A, and we’ll see how I feel about doing row B’s fourteen 16-pin sockets. It’ll be a total of 42 sockets to finish chapter 2, step 6, although I’m definitely not doing all 42 sockets tomorrow.